I'm a messy creative type who spills out all over the place. Photographer, film maker, animator, writer, cartoonist, podcaster... I fought it for a long time and tried to squeeze into a single box. Then, one day, I had to admit I was all these things. Show & Tell allows me to have all of these identities. Regardless of the medium, I've been helping people tell their stories and share their knowledge since the late 1990s. Sometimes behind a desk, often on location—once in the South American jungle even. I'm the lead on all of our projects—the person you'll have at your side from start to finish. It's my job to make sure our formula (Valuable + Clear + Appealing = Effective) is applied to your message and that you have a wondrous experience working with us. Anne is Show & Tell's guardian of the dictionary and slayer of ambiguity. She brings clarity and elegance to our work. 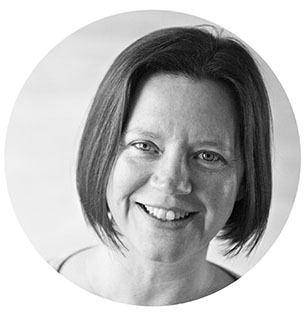 Anne is a hugely experienced editor and sub-editor. She has worked extensively in the newspaper and magazine industry in Ireland, the UK and the Netherlands. Anne is a writer too. Her short stories have been published in anthologies, literary journals and newspapers, as well as broadcast online. She writes Wordherding, a popular blog about writing. Paul is a writer, poet and audio broadcaster. He is a master of many social media platforms and adores the spoken word. He engages easily and brings people out of their shell. You won't be a stranger for long in his company. Jon and I ran magazines together in the 1990s. Jon sold the ads that paid my editor's salary. I learned that integrity is at the heart of Jon's work. Good salesmen help. Jon is a great salesman. He finds solutions that genuinely work. Jon makes sure what Show & Tell does, is what a prospective client needs. And if it isn't, he'll probably go out of his way to suggest an alternative. Jon is a traveller—Cuba a speciality. He appreciates good food, a good drink and, above all, good company. To help us deliver the best possible messages and content for our clients, we draw on the talents of many independent creatives. Each one is exceptionally good at what they do: animators, sound engineers, graphic designers... to name only a few. Mark Cotton deserves a special mention. He is a sound engineer and musician whose talents are boundless. At least, we haven't found their limits yet. He has provided audio and musical support for our podcasts and videos for years. The first name on the team sheet of any project we do that requires audio work. When we set up Show & Tell, we had a few guiding principles. We wanted a business we could be proud of. One that helped others achieve their goals. If they appeal to you, you're probably the kind of person who'd enjoy working with us. Show & Tell is straightforward and easy to deal with. Clarity is our lifeblood. We like to establish long-term relationships based on respect. We enjoy working with people who are building a better world. They enable us to do our very best work. We want to take you and your audience to surprising places. We strive to be remembered. We want you and your message to be, too. Strong relationships are built on integrity and openness. Effective communication is useful, clear and attractive. Effective communication is empowering, enlightening and entertaining.